Last year, at RockBitch Boat, I was advised to see BatAAr’s show. I ended up not following that advice and when I checked them out later on, I was really pissed at myself. So I was more than happy for this chance to make up for that mistake. Needless to say that both the music lover and the photographer in me were enthralled by their show – despite the aforementioned heat, the bad lights and the smoke machine. They’re playing RockBitch Boat this year once again and this time I’ll make sure to watch it and bring you a detailed report. They have a new single/video out, “Riskbreaker”, but I invite you to take a look at all their YouTube channel and listen to everything that’s up on Spotify, so you can grasp the full talent and diversity of this band. 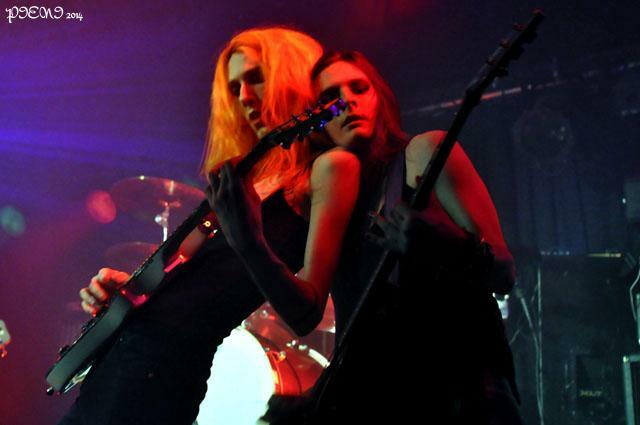 Gallery | This entry was posted in Concerts and tagged Bataar, Göteborg Metal Fest, RockBitch Management, Valand. Bookmark the permalink.